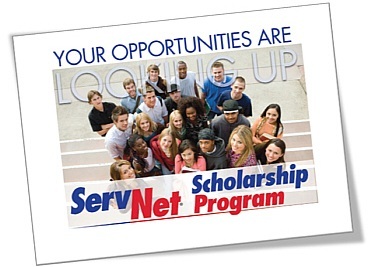 Clark notes that ServNet's scholarship program has been enthusiastically received by employees and associates at ServNet auctions around the country, and that several students have applied for â€“ and been awarded - the ServNet scholarship in multiple years. "ServNet's Scholarship Program is both an important way to support the families who work so hard in our industry and and to invest in our collective future," Ryan added. The application deadline for this year's Scholarship Awards is March 29, 2019 at 3pm Eastern Time. Additional information and application forms are available at www.servnetauctions.com. The ServNet Auction Group is a network of America's best strategically located independently-owned wholesale auto auctions. Since 1988, ServNet member auctions have been working together to provide a full range of remarketing services to its customers, including the best auctioneers, inspections, reconditioning, transportation assistance and inventory financing. The ServNet Auction Group is managed by TPC Management with headquarters in Franklin, TN.